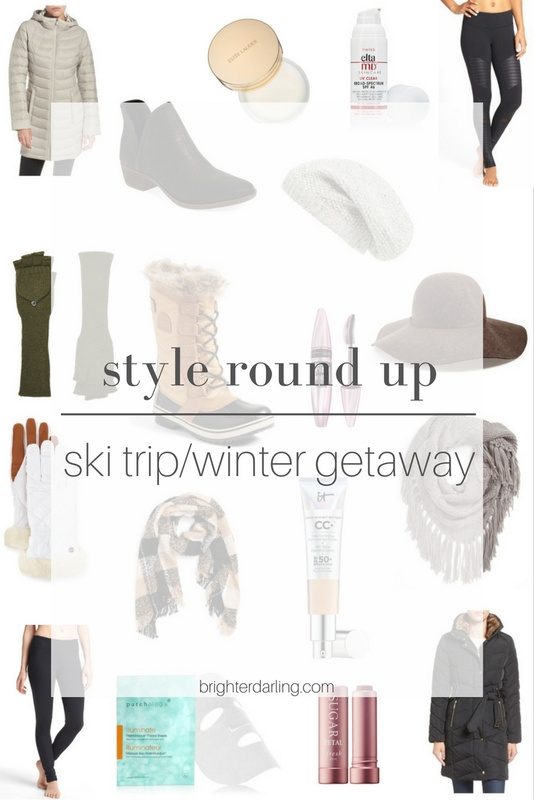 Winter Getaway Must Haves | Beauty and Style Edit. This is the perfect time of the year to go for a winter getaway and enjoy gorgeous views of snow-capped mountains. If you’re into skiing or snowboarding, this is probably your favorite time of the year! 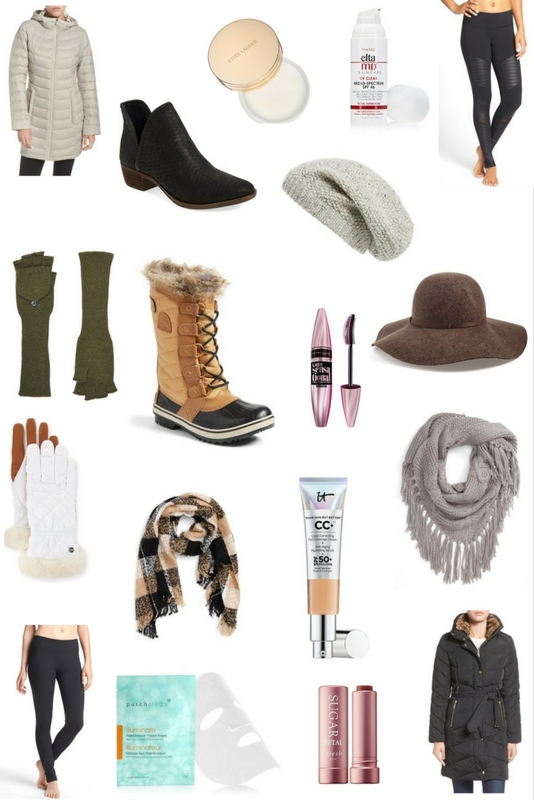 I’ve been experiencing some major FOMO living in Houston and seeing my hometown friends in the northeast rocking adorable Eskimo-like attire and prancing around in the snowflakes, so I wanted to compile what I would consider winter getaway must haves if I was packing up for a snow tubing trip (b/c if you know me, my skiing skills are perfect for the bunny hills and that’s about as far as we go). I picked the black booties (2) because I figured you’d need something cute and comfy to slip into if you go out to dinner or for drinks post hitting the slopes. The cleansing balm (3) is my most favorite makeup remover/cleanser/toner in one that also leaves your skin soft. The moisturizing SPF (4) has been my go-to for over five years now – it’s also a dermatologist favorite. The mittens (6) seemed perfect because, hello, they’re cashmere, but I love that they let you have easy access to take a Snapchat. Waterproof mascara is a must if your eyes water in the cold weather or if you walk through an iceberg. The compression leggings (15) have been a staple in my wardrobe since the August Nordstrom (NSale) sale. Bye, Lululemon. The Patchology sheet masks (16) are amazing – they stay put on your face and will give you the best boost of hydration at a fair price after a day in the blistering cold. The insanely hydrating FRESH tinted lip balms with SPF (17) are a must try – they even come in tons of different tints/colors. Are you planning a winter getaway soon? Let me know where you plan on going so I can add it to my wanderlust list! 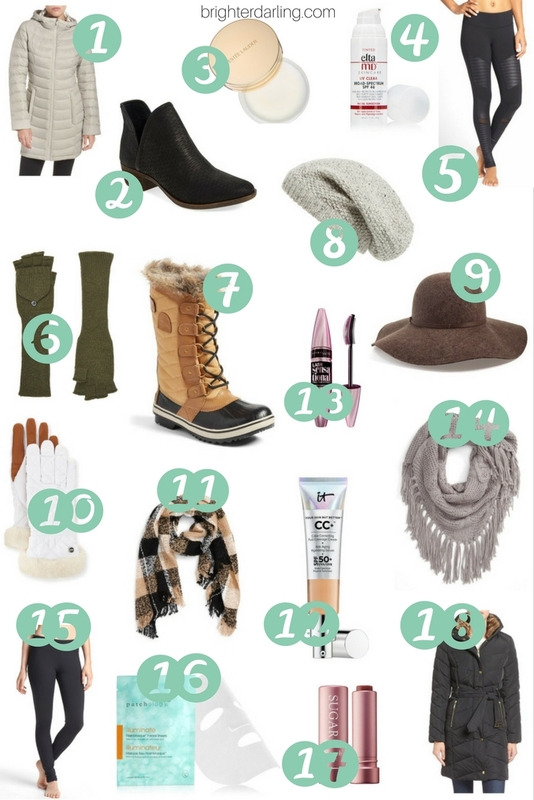 I hope this collection of items helped you look and feel fabulous on your future trip. Share this with someone if you think they’d find it helpful. Happy travels! "If I Could Only Keep One…"
"Everything You Need To Know About: Spa Facials"